Architect’s rendering of five new townhouses to be build next to Capitol Hill Baptist Church at 501 A Street, NE. 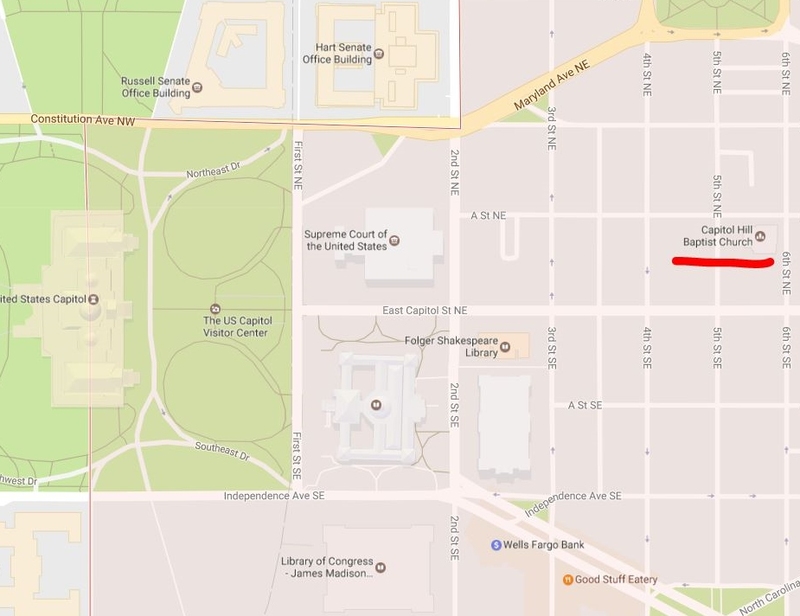 Here’s the location of Capitol Hill Baptist Church just off East Capitol. 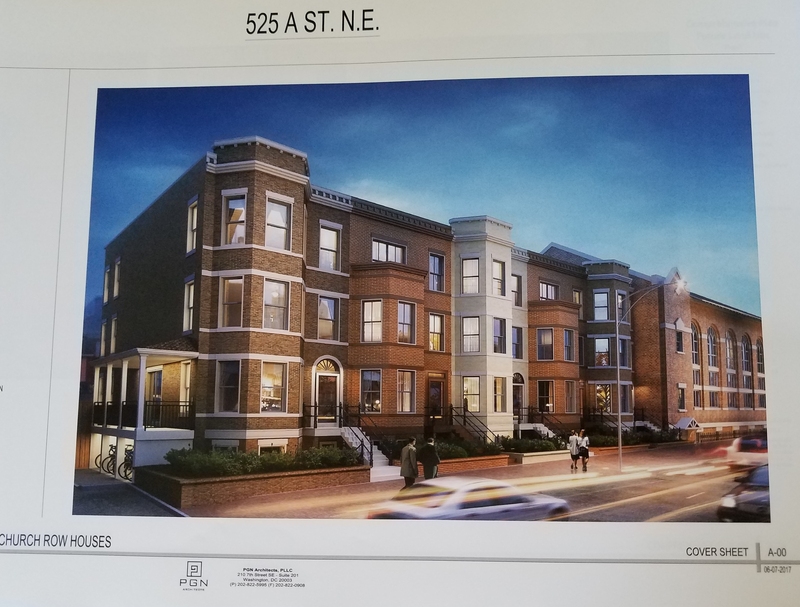 Wednesday night, ANC6C’s Planning and Zoning Committee approved the Historical Preservation Application of Capitol Hill Baptist Church (501 A Street, NE) to construct five new townhouses facing 6th Street, NE, on the parking lot on the north side of the church. The Committee tinkered with the landscaping, hardscaping, and public space aspects of the design, and local architect Jeff Goins of PGN Architects agreed to incorporate the suggestions. The church will retain ownership of the houses, each of which will contain two units. The church plans to use the units as temporary residences for pastor-trainees and a host pastor who will oversee the operation of the units. 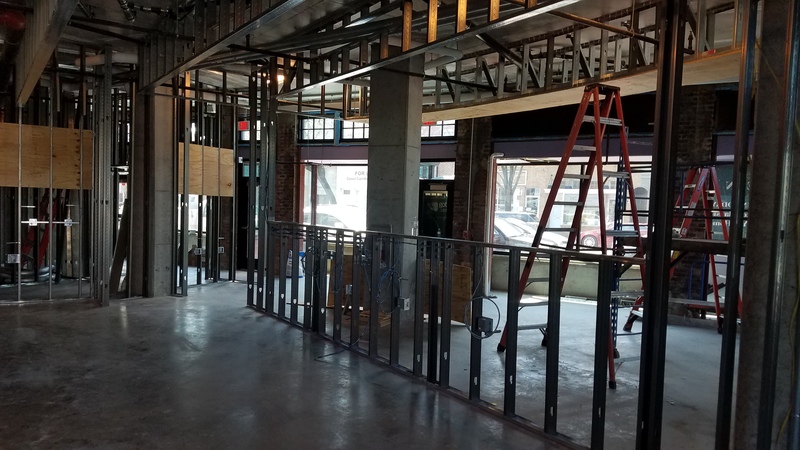 The timeline anticipates a 9 to 12 month construction period, once the city signs off on permits. A nearby resident raised the issue of the impact of the new residences on neighborhood street parking, not only because of the additional potential car users, but also because of the loss of the parking lot for church-goers. Parking issues, however, are outside of historic preservation province, and historic preservation was the question before the committee. Since each of the residences will have a separate address and is separately titled, it appears that each of the ten residents will be eligible for a residential parking permit. In addition, each property is apparently eligible for a renewable one year visitor’s parking permit. The Committee voted to support the project, 7 – 0. 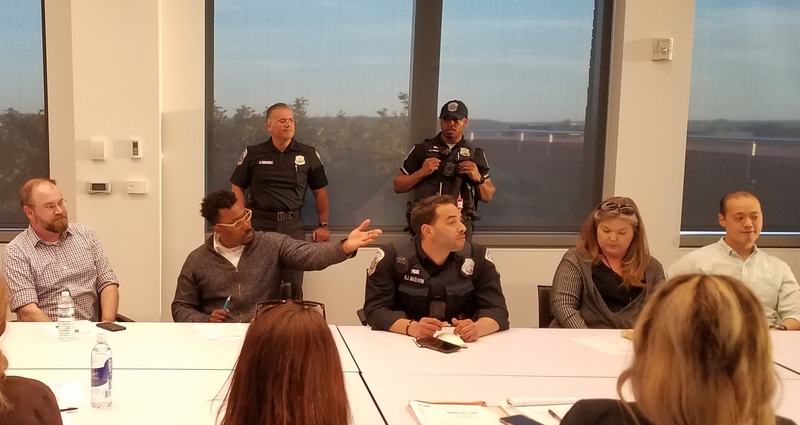 The matter now goes to the next meeting of the full ANC on Wednesday, June 14, at 7:00pm, at Kaiser Permanente Medical Center, 700 2nd Street, NE.